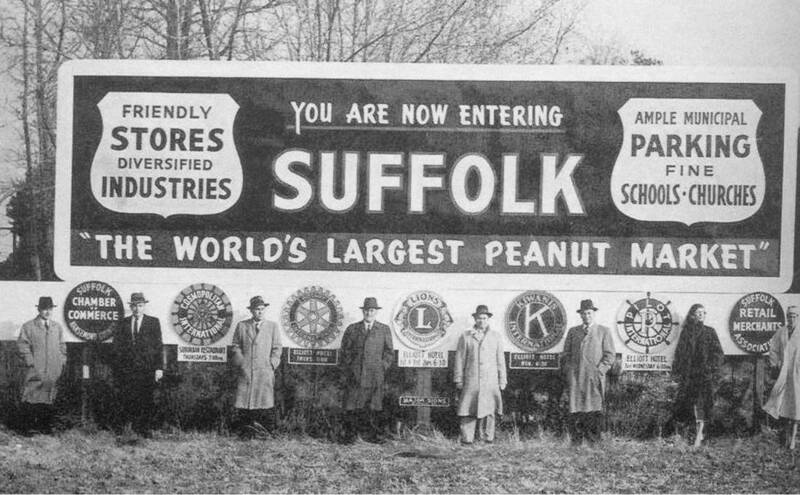 The first Suffolk festival celebrating the peanut was held in January 1941. It included a parade, dances and balls and coronation of a queen. A newspaper editor the morning of the first fete summed up the excitement in town: “Within a few hours the curtain will rise on Suffolk’s first annual National Peanut Festival.… The whole city has been a beehive of activity. Cooperation has been had from every civic group, every private citizen and from the world at large.… The publicity which has been received already from all over the nation … [does] credit to Suffolk and the peanut industry.”Some 10,000 people turned out for the first festival, a number that swelled to around 50,000 by the time the event was held again in October 1941. 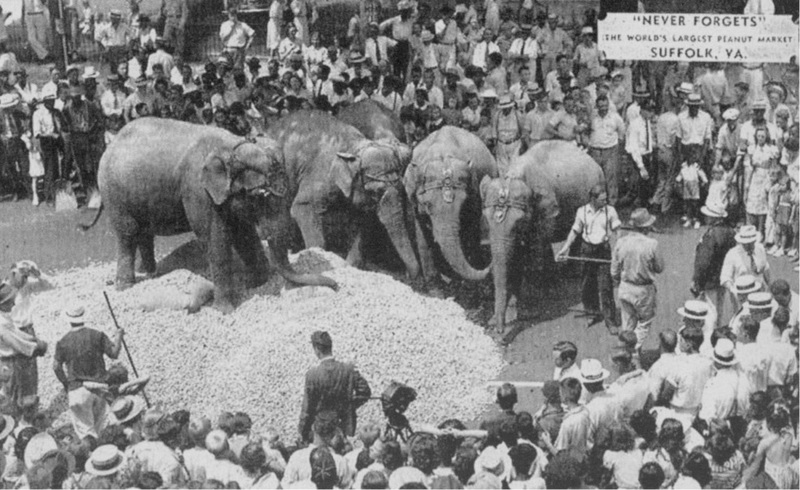 The modern predecessor of today’s Suffolk Peanut Fest was celebrated in September 1978 in downtown Suffolk. Called “Harvest Fest” and produced by the local Chamber of Commerce, the event featured a parade, a hot-air balloon event, a carnival, dances, concerts and a festival queen. The festival was a downtown tradition until the event moved to the municipal airport in 1981. For four days each October, Suffolk Peanut Fest now draws some 125,000 people and has won the accolades of professional festival organizations and national magazines.